Are you paddling against the current? After talking her through all the tips and strategies we have for making the most out of the 60 minutes she has with each patient, something struck me. It isn’t time she’s battling. At the core of her struggles is the fact that she is paddling against the current of belief in early intervention. And she is exhausted. In one of my favorite books, Switch by Chip & Dan Heath, the brothers share that our emotions and beliefs must be aligned when we’re trying to implement new systems or protocols. If they are not, we’ll become exhausted by the internal battle and the change will never stick. 1-The practical ‘How To’ steps of developing and implementing a new hygiene system such as perio protocol or an effective hygiene-doctor handoff. 2-Helping them shift their belief system about how they can influence their patients’ overall health and well being through early intervention in periodontal and dental disease. It seems the first would be the hardest because it involves coding, scheduling, clinical skills, etc. But really it’s the swift and powerful undercurrent of mindset and beliefs that is the hardest to change. And it affects everything! So back to the dedicated, caring hygienist above…It isn’t the logistics and timing that are truly keeping her from a breakthrough. In a nutshell, it’s her belief that she can and should treat early periodontal disease with a prophy and expect to stay on time. The time she’s spending on scaling with these ‘difficult’ patients will always be a challenge until she’s ready to recommend conservative, localized therapy to address the chronic inflammation. But we haven’t given up. We’re working to support her in developing a belief in giving patients the opportunity to say yes or no to optimal care in disease and in health. I just finished up a two-day training in California’s Silicon Valley with a very dynamic team of 3 Dentists, 5 Hygienists and all the accompanying auxiliary team members! One of the ‘hot topics’ during my visit was risk assessment. In particular, the relationship between periodontal disease, heart disease and inflammation! As dental professionals, we are very aware of the research that establishes a connection between perio and heart disease. We want to inform our patients not scare them. We want them to understand the cardiovascular risk involved with untreated disease. However, I find that most of us are a bit reluctant to dive in and have a conversation with our patients about the connection. During this month’s High Profits Hygiene Mastermind call, we’re addressing this very topic. Amy Doneen, RN, BSN, MSN, ARNP is going to give us the simple truth. 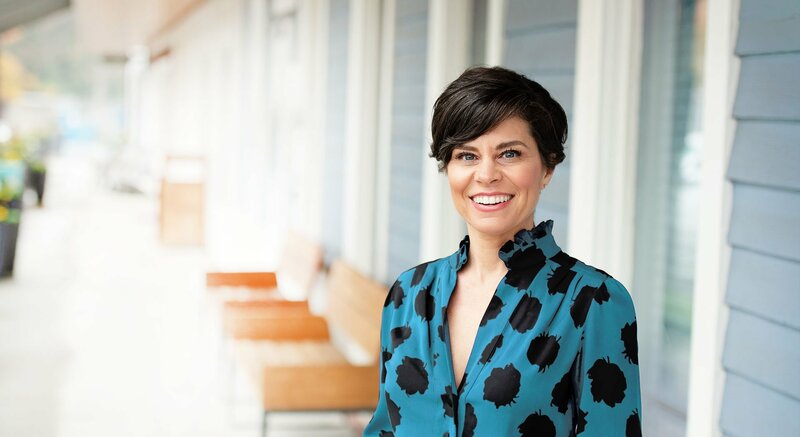 Amy will discuss the surprising ‘red flags’ for cardiovascular disease, one of which is gum disease. She will outline very clearly for us just how periodontal inflammation creates an environment for increased risk. You will gain knowledge about the heart disease connection to perio and as a result you will have more confidence when discussing this topic with your patients. Learn the facts and help your patients understand the reality of the connection and their level of risk. You do not want to miss this call! If you’re not already a Mastermind member, I encourage you to check us out. Each month you will have the opportunity to hear a health care professional discuss interesting relevant topics. You’ll also have access to the Mastermind Library, which includes more than 50 archived recordings. The first 2 months are free with no obligation. Please join us soon! This course is aimed to highlight the science behind the oral/systemic connection. Additionally, we will discuss the clinical interpretation and application of the science as it applies to the dental and medical team. Lastly – we will articulate the need to build bridges between the medical and dental systems for the global health of the patient. CE credits are provided by Inspired Hygiene. Inspired Hygiene is designated as an Approved PACE Program Provider by the Academy of General Dentistry. The formal continuing dental education programs of this program provider are accepted by the AGD for Fellowship, Mastership and membership maintenance credit. Approval does not imply acceptance by a state or provincial board of dentistry or AGD endorsement. The current term of approval extends from 6/1/2010 to 5/31/2014. If you’re not already a member of our Mastermind group, the first 2 months are FREE. Click here to sign up. All of us here at Inspired Hygiene have been looking forward to February! 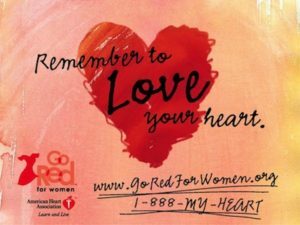 Not only is it American Heart Health month, it’s the 10th Anniversary of Go Red for Women and it’s Dentistry Has a Heart Month! February presents a perfect opportunity to ‘share the love’ with your patients as you encourage them to have excellent oral health to support a healthy heart. Celebrating this month is also a great way to further educate your patients about the connection between periodontal disease and heart disease. There are many low cost things you can do, so start celebrating with your team and your patients today. For a list of activities, videos and resources, visit www.dentistryhasaheart.com. Scroll down for conversation tips and check out the list of ‘red flags’ for heart disease and stroke. For a long time cardio-vascular health was all about keeping your weight and blood pressure down and getting regular exercise. While these things are still important, we now know there is so much more to consider when it comes to risk factors. As health care professionals, it’s vital that we not only understand the relationship between periodontal disease and heart disease but we get comfortable talking to our patients about it. This week, when you see a ‘red flag’ on a patients’ health history, dig a little deeper. Ask them if there is a family history of heart disease and other associated risks like diabetes. If they have a red flag and bleeding gums, be sure to recommend some level of treatment. Don’t let active disease get a pass for the next 6 months.